German tanks during World War II were often outmatched by superior Red Army designs beginning with the T-34. Armor, reliability and firepower were all—at various times—serious shortcomings. To counteract the Soviet beasts, Germany rushed ahead with tank destroyers—armored vehicles designed to inflict long-range firepower from concealed positions—but these also had a mixed record. The introduction of the Ferdinand during the 1943 Battle of Kursk turned into a disaster as the vehicles broke down from mechanical failures. But Germany managed to produce practical and satisfactory tank destroyers, the Nashorn being one of the more successful designs. Manufacturer Alkett completed the 24-ton, nearly nine-foot-high tracked vehicle by combining a modified Panzer III/IV chassis with an 88-millimeter gun—one of the deadliest German weapons in the war. The specific gun, the Pak 43, would later see use on the Tiger II—one of the heaviest tanks of the era—and the Ferdinand and Jagdpanther tank destroyers. The Jagdpanther was a decent machine, the Ferdinand was not, and the Tiger II was extremely formidable but suffered from reliability issues. Historical memory is generally favorable to the Nashorn, which entered service in early 1943 as an interim stopgap. As a result, only 473 Nashorns were produced, but the type served until the end of the war and inflicted pain on the heaviest Allied and Soviet tanks. The Nashorn was also inexpensive and quick to build due to the simple, evolutionary design. An MG-34 or MG-42 machine gun served as the crew’s close-range protection. During the December 1943 battles for Vitebsk, the 3rd Panzer Army fought desperate battles as it fell back to defend the Panther Line. One Nashorn under Capt. Albert Ernst knocked out 14 Soviet tanks during one day of the battle. And in March 1945, a Nashorn knocked out a U.S. M-26 Pershing heavy tank, one of that type’s few losses in the war. The Nashorn’s gun and open-top superstructure sat high, which was a disadvantage, but the machine was designed to ambush tanks from thousands of yards away in a hull-down position, and then move quickly. So provided that field commanders used them appropriately, they remained deadly. The tank destroyer’s armor was a mere 30-millimeters thick in the hull, and 10 millimeters in the superstructure, which was practically nothing for everything except small arms. A modified Nashorn introduced in May 1943 featured a redesigned front armor plate with 15 millimeters of armor. But there’s a lesson there. 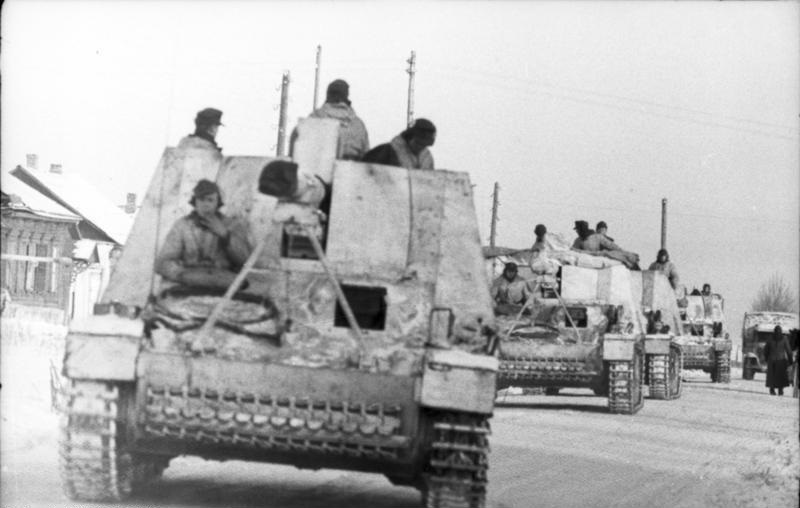 Although the Nashorn had its downsides, notably the lack of armor, it was a cheap and effective long-range weapon.